Based on our insatiable, unstoppable lust for consumer products, American gamers tend to have access to whatever peripherals are around. Headsets, mice, keyboards ... the tech world is our oyster. But occasionally, some brands stay popular in Europe and Asia, never making the crossover to North American shores. Roccat was such a company up, as they've only made in-roads in the United States within the last 18 months or so. Others, like Zowie, haven't been as lucky or persistent. QPad is another Europe-centric brand, although they've been around for years. Some of their products make it to the United States through third-party Amazon retailers, but by and large they stick to countries across the pond. And that seems to be the long-term strategy for now, except for their deal with Kingston. 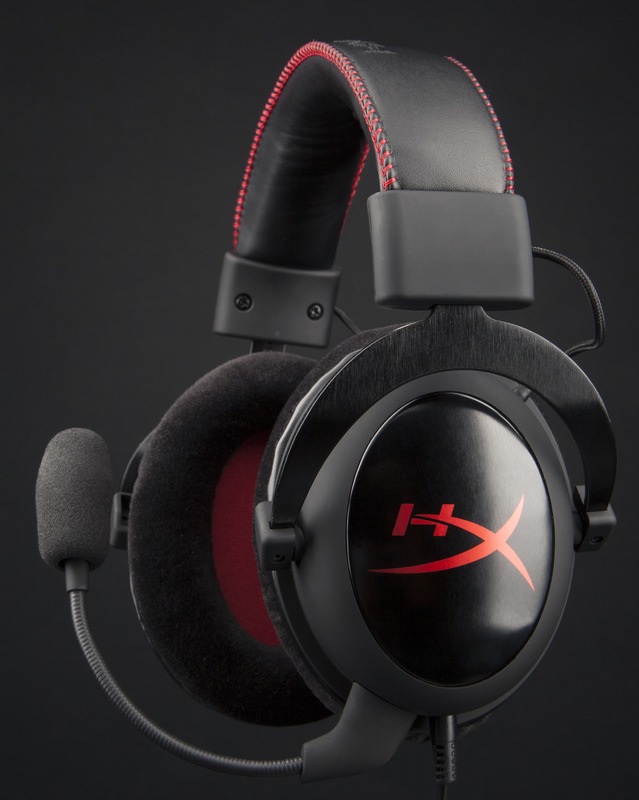 Kingston is bringing a new gaming headset to North America under its HyperX performance brand. The "Cloud" headset is a rebranded QPad QH-90 -- all the same features, but with a new look. It's a similar tactic to Kingston's partnership with Steelseries, although this seems to be a more thorough rebrand. So how does the Cloud hold up to these American ears? Let's find out. This is a 3.5mm headset -- no USB option -- meant for PC gaming and mobile use. One of the two included 3.5mm extension cables has a control box built in, complete with a volume wheel, mic on/off switch, and mic mute tap. The mute tap mutes the mic as long as you hold it down, which is pretty handy if someone walks in your office while you're gaming. The control box is totally optional, too, in case you don't need in-line volume and mic control. And because it's a 3.5mm headset, setup only but a few seconds. The detachable microphone connects through the left earcup, and there's only one way to connect it (no room for error here). Based on the feedback I got from those in my TeamSpeak server, the mic quality is solid, if a little tinny. No feedback or distortion, although it likely ranks as an A- to my Astro A40's A. The boom is essentially a metallic, wound wire, which means flexibility and placement are both at maximum. The mic also comes across the left side of my mouth easily, so there's chance for awkward placement. All in all, the mic performs admirably, even if it's not the best I've used.